Time to clear out your shop to make way for that new plane! 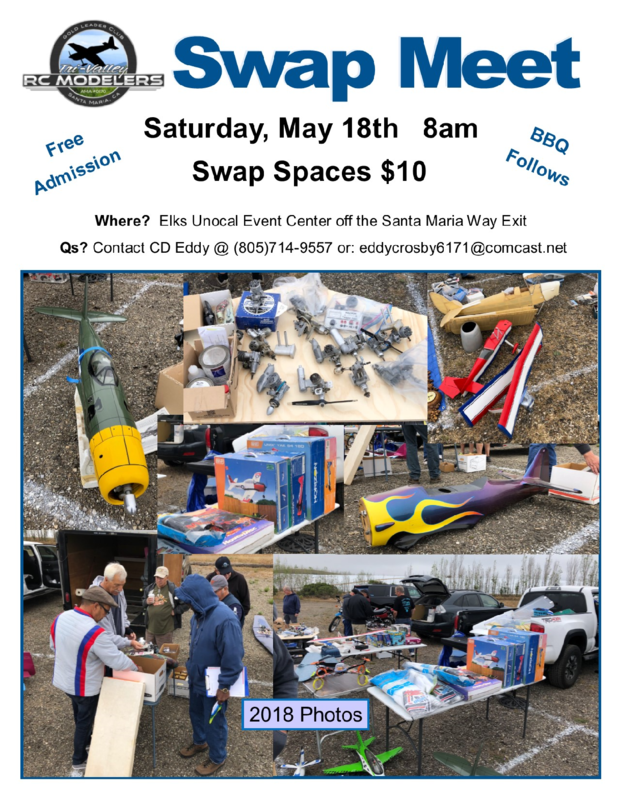 Swap meet and BBQ at our flying field. 10ft x 10ft space for $10 per. Bring your own tables or ground cover. Food and drink available for purchase at lunchtime. exit HWY 101 at Santa Maria Way. Turn east to the frontage road then turn right. Go to gate #3. Exit Santa Maria Way go east to frontage road then right. Enter at Gate 3.